Podcasts with Park Rangers is a podcast featuring conversations with Park Rangers from National Parks around the country. 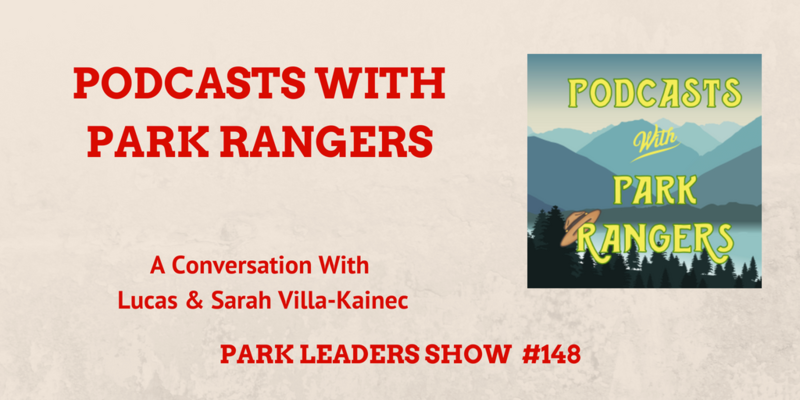 Lucas and Sarah Villa-Kainec are the hosts of the podcast Podcasts with Park Rangers. We sat down together at a picnic table in Fort Worden State Park. In this episode, we discuss their podcast, traveling across the country, and the rangers they have met. There are a few podcasts about parks now, but what makes this podcast a little different is they focus on the park rangers rather than focus on the resource. Their conversations highlight the incredible storytelling of park rangers. Podcasts with Park Rangers also shows park rangers are people and not just a resource.